You’ve read about it in the news, you’ve seen it on TV and you’ve seen it constantly discussed on social media. But what exactly is the National Broadband Network and why are we doing it? Read the first part of our guide to find out. Australia’s existing telecommunications network is old and unable to meet our growing requirements. The NBN will modernize the infrastructure that makes up this network. To put it more plainly, Australias copper telephone lines need to be replaced to support our future technology requirements. You will likely be affected if you use services or devices that use the telecommunications network (which means it will likely affect every person in Australia). You will need to check the NBN website for further information if you are responsible for, or own, any devices that delivers the above services. 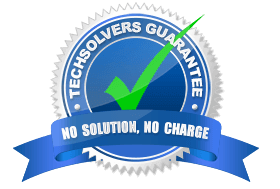 You may also need to contact your device vendor or service provider for further assistance during the transition. You may remember the Rudd Government originally planned to connect the majority of Australian premises using FTTP. The Abbott government decided a more varied approach was required (Multi-Technology Mix or MTM) which introduced numerous other technologies (FTTN, FTTB, HFC and FTTC). The main arguments for the MTM model include a lower cost and faster time for deployment. MTM critics now point out the rollout has been delivered later than Labor’s original plan and at a higher cost. MTM also requires more upkeep and further upgrades in the near future. Supporters of MTM argue that Labor’s original costings and completion dates were unrealistic. Your home connects to the NBN with fibre. You’ll get the best possible internet performance with FTTP however only a very small number of Sutherland Shire homes are marked for FTTP. Fibre connected to the NBN terminates “at the curb” which is typically in one of the legacy Telstra pits. Your home connects to the NBN using VDSL2 over the telephone line which already connects you to the copper network. Many Sutherland Shire neighbourhoods will access the NBN via FTTC. FTTB – Fibre to the Basement. Fibre connected to the NBN enters the buildings datacomms room. Your home connects to the NBN using VDSL2 over the buildings existing network. Many multi tenant dwellings in the Sutherland Shire will connect to the NBN using FTTB technology. Your home connects to the NBN using DOCSIS over the existing coaxial cable previously used to supply cable services like Foxtel. This technology features extensively in areas of the Sutherland Shire. Nbn™ installs a node in your neighbourhood. Your home connects to the NBN using VDSL2 over the existing copper telephone lines. 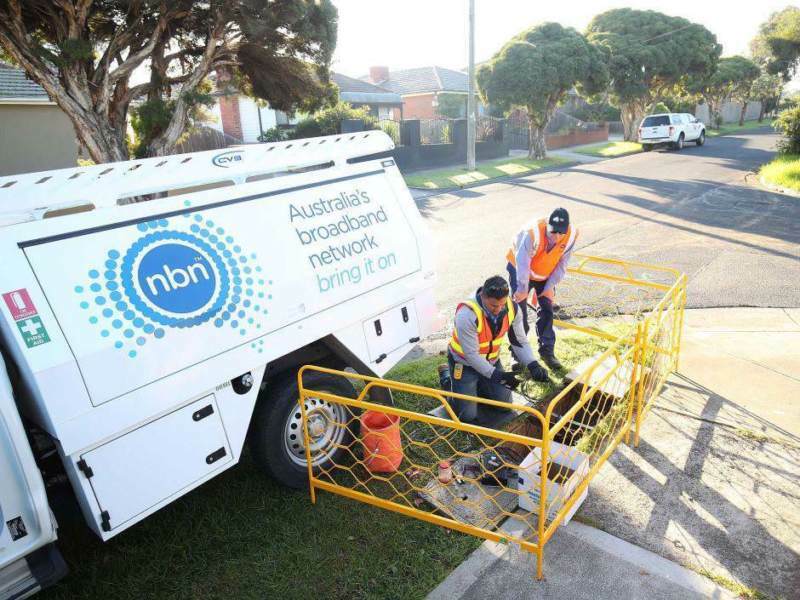 A relatively small number of Sutherland Shire homes will access the NBN via FTTN technology. Nbn™ installs a rooftop antenna which connects you to the NBN. This technology tends to be used in areas where the distance between properties can be many kilometres. Nbn™ installs a satellite dish to your premises which connects you to the NBN. This technology is likely to be used in remote and rural areas. Many factors can contribute to the potential speed of an NBN connection. For the purpose of answering this question, we’ll list the connection types in their likely speediness order assuming all other common factors (CVC Congestion, Home Wiring etc) are operating optimally. FTTP is most likely to offer the best internet performance because the fibre enters your home. Generally speaking, the closer the fibre is to your home, the higher the likelihood of a fast internet service which is why FTTP is most likely to offer the best internet experience. FTTC uses your existing telephone copper wire to connect you to an NBN fibre endpoint that comes “to the curb”. This endpoint may be in a Telstra pit or on a pole. Nbn™ will install a reverse powered Distribution Point Unit (DPU) at the endpoint. Each DPU can connect up to 4 properties to the NBN. The DPU will allow you to access the NBN by way of VDSL2 technology which can achieve speeds of 100/40 comparable to FTTP. You might be concerned that FTTC is a second rate solution because, well, copper can’t compete with fibre. Preliminary tests show that FTTC is a solid performer given the right conditions which includes short copper runs (less than 250 metres) and adequate copper cabling (preferably bonded copper pairs). Most FTTC homes will have copper runs less than 100 metres which means they should see very good internet speeds. That being said, copper quality will vary from one home to the next which introduces an unwelcome wildcard into the FTTC mix. Nbn™ have announced plans to rollout G.fast which enables Gigabit speeds. Deployment of G.fast is planned to start 2018 for business subscribers. 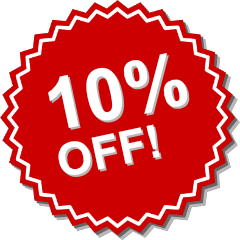 Residential users are still awaiting a date for G.fast availability. Nbn™ delivers its FTTB based services using fibre connected to cabinets installed in the communications/data room of multi tenant dwellings. FTTB uses the buildings existing network to deliver internet connectivity from the basement to tenants using VDSL2. This means the quality of each building’s network will contribute to the internet speeds achieved. 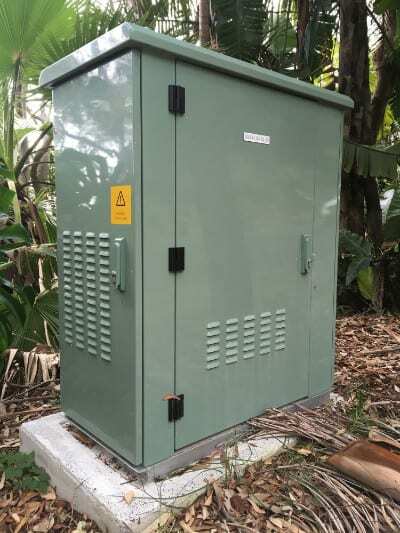 HFC sees premises connecting to the NBN via the legacy Telstra cable network which has been upgraded to support its new purpose. Foxtel will continue to use the same cable, however, there should be sufficient bandwidth for both Foxtel and NBN to co-exist. HFC should be capable of delivering 100/40 however its deployment has been plagued with so many issues that Nbn™ has temporarily ceased new HFC connections. Unlike FTTN, distance from the node is not a factor for HFC because the signal is amplified from the node. FTTN sees your home connecting the NBN using VDSL2 over the existing copper lines, similar to FTTC. The difference is, FTTN copper runs will go all the way to a node in your neighbourhood whereas FTTC copper runs go from your home to the curb. This is a problem because VDSL2 performance degrades significantly after 250 metres resulting in slower internet speeds. Your NBN guarantee will differ if you are receiving FTTN and live in an area where ADSL2 is provided. Nbn™ will only guarantee 12/1 Mbps for FTTN over the “co-existence period”. Your co-existence period starts when FTTN begins to be deployed to your neighbourhood. This co-existence period will end when all ADSL / POTS services for your neighbourhood have been migrated. At that point, Nbn™ will be able to optimise the network for FTTN and guarantee 25/5Mbps. Although many users will have a positive experience on FTTN, there will be a higher percentage of disgruntled users compared to the other connection types. As such, FTTN is likely to be the worst performing fixed NBN connection type available in the Sutherland Shire. You may continue to see existing copper issues persist after you migrate to NBN. One such issue we see frequently is internet slowdown when it rains. This tends to happen because water enters the Telstra pit. These types of issues may persist on FTTC / FTTN because the same copper infrastructure is being used. What are the benefits of FTTP over other technology types? On the downside, FTTP is more expensive and takes longer to rollout. You can elect to upgrade your existing FTTN or FTTB service to FTTP via the NBN Technology Choice Program. Residents in a multi tenant dwelling can also submit applications to have their entire building converted from FTTB to FTTP. FTTC users cannot currently upgrade to FTTP because the NBN will only upgrade entirely deployed neighbourhoods. FTTC deployments started last month so an FTTC upgrade to FTTP won’t be possible for at least 18 months. HFC users cannot currently upgrade to FTTP due to the freeze on HFC deployments. You’ll need to pay $660 to perform an initial assessment which will provide you with a final build quote to upgrade to FTTP. The quotes range from a $2.5k to well over $10k, depending on the work necessary. In 2017, the average cost of an upgrade to FTTP was reported to be around $7395. Let’s quickly take a step back from the NBN and recap some data networking basics. Download is when you receive data from the internet (i.e. like watching Netflix or YouTube). We talk about network speeds in terms of the number of bits that can be transmitted in 1 second. We also tend to quote two numbers like 100/40, 50/20 or 12/1. The leftmost number is the download speed in Mbps, the rightmost number is the upload speed in Mbps. For example, 100/40 = 100 Mbps Download, 40 Mbps Upload. When the internet was first introduced to consumers, we would connect using 56K dial-up modem. These devices could reach a max speed of approx 52Kbps. Our internet speeds jumped to a max of approx 20 Mbps with the delivery of ADSL2. Our max speeds varied depending on line quality and distance to the phone exchange. Internet delivered via Cable saw a further jump to 100Mbps. 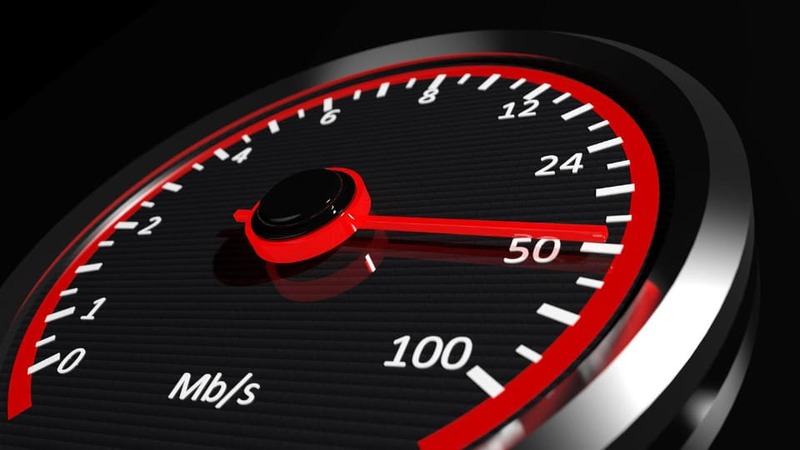 Some cable users currently enjoy 120 Mbps, however, their upload speed is only 1 Mbps. NBN will initially offer top speeds of 100 Mbps down / 40 Mbps up. 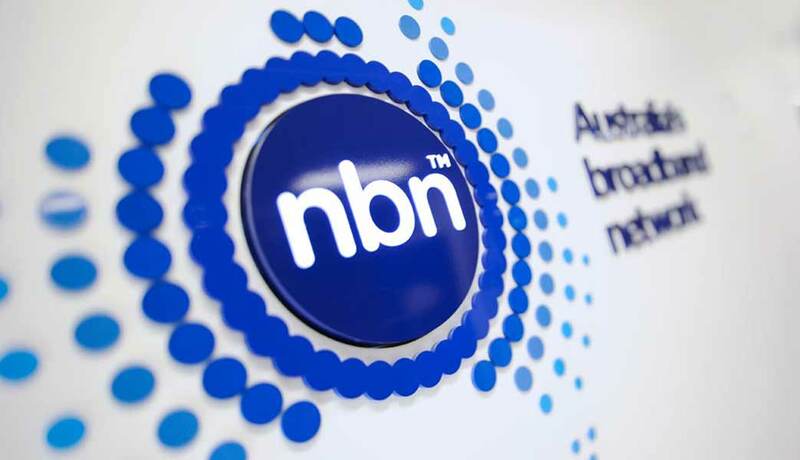 This is far from the 1Gbps standard seen in other developed countries, however, Nbn™ does have plans to upgrade capacity to 1 Gbps over the coming few years. A 100 Mbps plan will get you 100 Megabits per second however a 100MB file is 100 Megabytes which is 800 Megabits. You can use the following table to help understand file download speeds on the various plans. Your ADSL connection runs on the legacy copper network which is old and expensive to maintain. It will be completely retired which means the infrastructure that supports the services you currently use won’t exist. Your cable internet service will cease to exist in the next few years because the legacy Telstra & Optus cable networks have been sold to Nbn™. Furthermore, the infrastructure that supports the Optus cable network is being completely retired. Will my distance from the exchange contribute to slow NBN speeds? Your internet speed was once significantly influenced by your proximity to an exchange because the signal would grow weaker the further away you were. Nbn™ built 121 Points of Interchange (POI) around the country which support thousands of nodes in our neighbourhoods. Your proximity to a node (pictured) or DPU may influence your internet speeds, depending on the MTM technology used. Your distance to your POI (which will most likely be Miranda) will not impact your internet speeds. Your landline phone currently connects to the copper network. Your phone will connect to your modem/router when you migrate to the NBN. A major difference between the two networks concerns how data is communicated. The legacy copper network has the telephone exchanges providing power to facilitate communication. A benefit of this is a corded telephone continues to work when there is a blackout affecting your home. Conversely, the NBN sees power supplied by each connected device. This means your phone will not work in the event of a blackout affecting your home. Note: A UPS will provide battery power to those devices plugged into it. This means your devices can be powered up however the infrastructure that supports the NBN could be knocked out by the same event that caused the blackout. Nbn™ bought both Telstra and Optus cable networks because it originally planned to use them to deliver NBN access. It was eventually realised that the Optus network was very old and in dire need of upgrades/repair. The cost implications of this work forced the Nbn™ to start looking at alternative options. In 2016, Nbn™ announced they would NOT be using the Optus network. Instead, Nbn™ stated they would look at introducing FTTC for those homes previously marked to get HFC over the Optus network. It’s unclear why the concerns with the Optus network were not given greater consideration prior to purchase. The next part of our NBN Guide is “The NBN is coming to the Sutherland Shire – What you need to know”.